The Paris Agreement is the backbone of international action to tackle the greatest challenge facing our civilization: climate change. Donald Trump is withdrawing from the agreement, standing with the fossil fuel millionaires and billionaires who want to wreck our planet and homes. Paris isn't perfect, but it's a step forward. Stand with us to show other world leaders, CEOs, local governments and everyone else watching that political momentum away from fossil fuels and towards an 100% clean energy economy that works for all is unstoppable. The Paris Agreement is a step forward to climate action. We will not go backwards. I will act to make sure that political momentum for climate action is unstoppable, and demand that world leaders, CEOs and local governments act -- no matter what. By signing you show you will continue working for climate action, and 350.org will help deliver your message to world leaders. Thank you for standing up for climate action. We'll help deliver your message to the UN soon. In the mean time, can you help us spread the word about Trump's Paris plans, and how we can respond? The Paris Agreement is the backbone of international action to tackle climate change. Donald Trump is withdrawing, standing with the fossil fuel millionaires and billionaires. 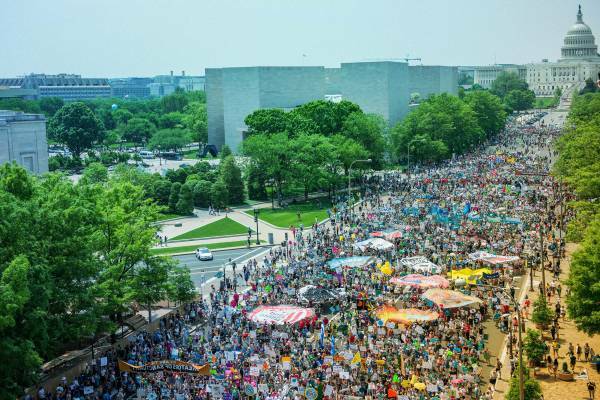 Stand with us to show that political momentum for climate action is unstoppable. Donald Trump’s withdrawal from the Paris Climate Deal is immoral and shortsighted. It puts billions of lives at risk for the sake of short term fossil fuel profits. Show your support for the Paris Agreement and even stronger climate action by adding your name here. 194 other countries continue to support the Paris Deal, and many are doubling-down on their commitments. The agreement is the backbone of international climate action, and needs to be made much stronger, not weaker. Also, could you share this call to action with your friends? Global carbon emissions stopped growing – The amount of carbon pumped into the atmosphere worldwide has stopped increasing without an economic recession for the first time since records started being kept. Coal is collapsing – The number of planned coal plants worldwide is down by 2/3rds and India just cancelled 14GW worth of planned coal plants, and South Korea’s new government pledged to shut down existing plants and review plans for new ones. Electric cars keep switching on – A new study by a researcher at Stanford University concluded that every new car, truck or bus sold in the year 2025 could be electric powered. 2016 was the hottest year ever recorded. The previous record holders? 2015 and 2014. Climate change is speeding up. Stronger storms. Extreme flooding has hit every continent, and record breaking storms have swept the Pacific. Shortly before Trump’s decision, a major storm took 200 lives in Sri Lanka in the worst flooding in decades. Rising sea levels. A new study released just before Trump’s decision showed that ocean levels are rising 3 times faster this century than they were in the last — putting millions of homes and communities at risk. 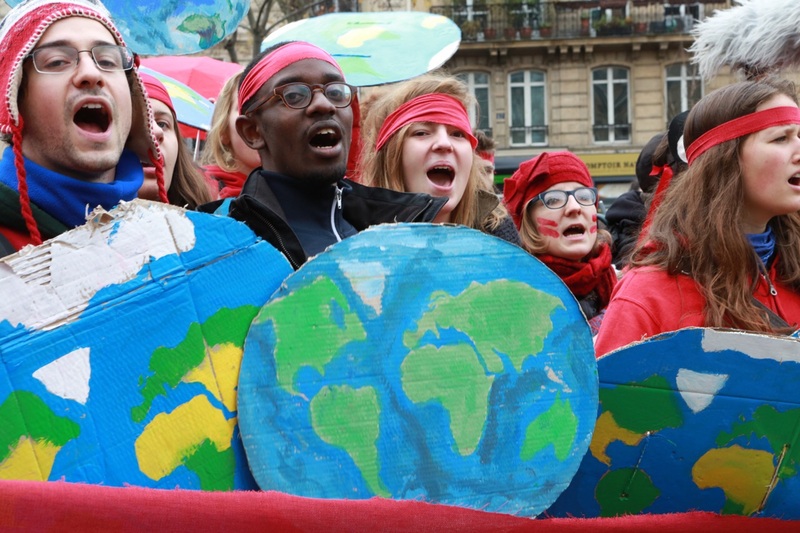 The weekend before the climate talks started, the world stood together in a weekend of global action. Over 785,000 people took to the streets at over 2,300 events in 175 countries. The 350.org team inside Le Bourget kept us up to date on what was happening on the floor of the talks, and sent out calls to action at key moments. Although the final agreement was riddled with compromise, the people's movement refuses to compromise. We do not accept anything less than climate justice. On the day the talks ended, 10,000 people were back in the streets of Paris to have the last word. They formed a red line with their bodies, with giant banners, and with 5,000 red tulips — a line representing both the victims of the climate crisis past and present, and our collective commitment to keep fighting for the things we love. Activists in Paris were echoed by thousands more around the world who gathered for solidarity events. There's so much more work to do! 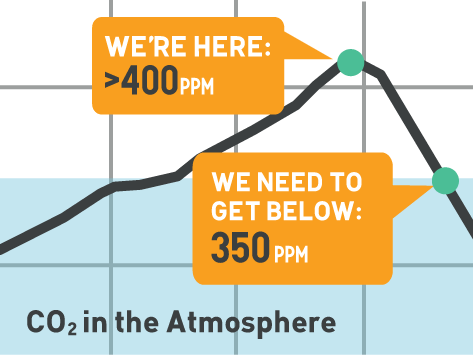 Sign up here to stay connected with the 350.org and the global climate movement. We have big plans for the next year. Thank you! Now check your inbox.